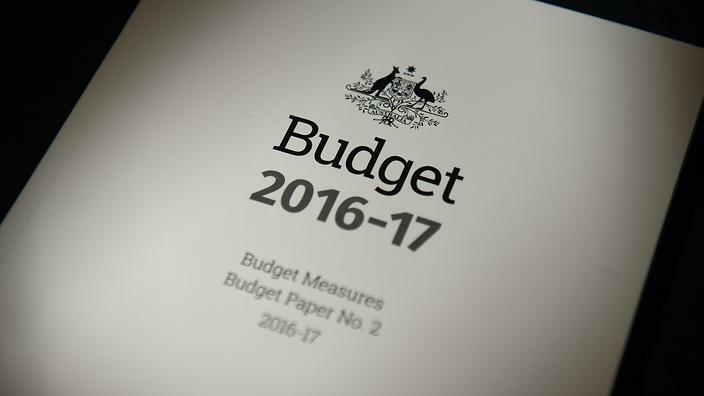 The Federal Treasurer presented the government budget on 3 May 2016. The Budget sets out the government’s economic plan to facilitate Australia’s transition from the mining investment boom to a stronger, more diversified new economy. Six organisations have been added to the list of specifically-listed deductible gift recipients. The threshold at which high income earners pay additional contributions tax will be lowered to $250,000 from 1 July 2017. The annual cap on concessional superannuation contributions will also be reduced to $25,000. The tax exemption on earnings of assets supporting Transition to Retirement Income Streams will be removed from 1 July 2017. The income threshold for the receiving spouse (whether married or de facto) of the low income spouse tax offset will be increased to $37,000 from 1 July 2017. A balance cap of $1.6m on the total amount of accumulated superannuation an individual can transfer into the tax-free retirement phase will be introduced from 1 July 2017. The anti-detriment provision in respect of death benefits from superannuation will be removed from 1 July 2017. The small business entity turnover threshold will be increased from $2m to $10m from 1 July 2016 for the purposes of accessing certain existing income tax concessions. The increased threshold will not apply for the purposes of accessing existing small business capital gains tax concessions. The unincorporated small business tax discount will be increased in phases over 10 years from the current 5% to 16%, first increasing to 8% on 1 July 2016. The current cap of $1,000 per individual for each income year will be retained. GST reporting requirements for small businesses will be simplified from 1 July 2017. Targeted amendments will be made to improve the operation and administration of integrity rules for closely-held, private groups (in Div 7A of the Income Tax Assessment Act 1936) from 1 July 2018. Tax incentives for investing in early-stage innovative companies are to be expanded. Funding arrangements to attract more venture capital investment will be expanded. A new tax and regulatory framework will be introduced for two new types of collective investment vehicles. The proposed measure addressing the double counting of deductible liabilities under the tax consolidation regime announced in the 2013/14 Federal Budget will be modified. The treatment of deferred tax liabilities under the tax consolidation regime will be amended. An integrity measure concerning liabilities arising from securitisation arrangements announced in the 2014/15 Federal Budget will be extended to also apply to non-financial institutions with securitisation arrangements. The taxation of financial arrangements (TOFA) rules will be reformed and new simplified rules will apply from 1 January 2018. The tax treatment of asset backed financing arrangements such as deferred payment arrangements and hire purchase arrangements will be amended. A discussion paper on the “double taxation” of digital currencies under the GST regime has been released. Tobacco excise and excise-equivalent customs duties will be subject to four annual increases of 12.5% from 1 September 2017. The wine equalisation tax (WET) rebate cap will be reduced to $350,000 on 1 July 2017 and to $290,000 on 1 July 2018. The excise refund scheme will be extended to domestic distilleries and producers of low strength fermented beverages such as non-traditional cider from 1 July 2017. Access to refunds under the Indirect Tax Concession Scheme has been granted or extended to diplomats and consuls from Cyprus, Estonia and Finland as well as the Organisation for the Prohibition of Chemical Weapons. A 40% tax on the profits of multinational corporations that are artificially diverted from Australia will be introduced from 1 July 2017. Transfer pricing rules will be amended to give effect to OECD recommendations, effective from 1 July 2016. Rules developed by the OECD to eliminate hybrid mismatch arrangements will be implemented from 1 January 2018. Administrative penalties imposed on significant global entities will be increased from 1 July 2017. A Tax Avoidance Taskforce will be established within the ATO to undertake enhanced compliance activities targeting multinationals, large public and private groups, and high-wealth individuals. Individuals who disclose information on tax avoidance to the ATO will receive stronger protection under the law from 1 July 2018. The government is encouraging all companies to adopt the Tax Transparency Code (TTC) from the 2016 financial year. The operation of the Australian Public Service including the ATO will be reviewed to achieve efficiencies and manage their transformation to a more modern public sector.